gold — all this must be a pleasing sight to the owner of these broad acres, and with a bottle of choice Falerian and a two-dollar cigar, I think I could even find life endurable under such circumstances. Who would have thought that I should meet an old South Sea beachcomber here? James Winter was born in Edinburgh, Scotland in 1834 and came out to Victoria with his parents John and Janet and his siblings in 1841. 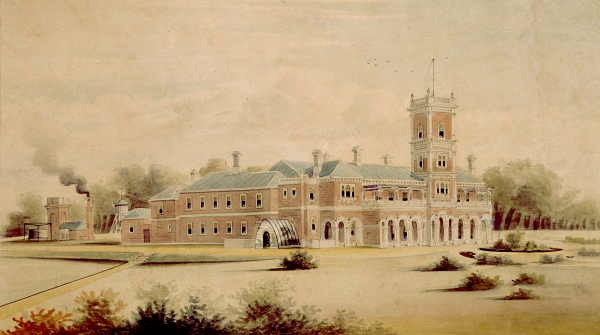 In 1857, in partnership with his father and brothers they brought the Colbinabbin station and others in the Rodney district of Victoria at a cost of around £200,000. On the dissolution of the family partnership in 1868 James retained the Toolamba estate and architects Lloyd Tayler and Frederick Wyatt designed his 68 room mansion “Dhurringile-house” which was built in 1877 for a reported £30,000. On the 27th April 1871, aged 36, he married Caroline Pettett, a daughter of former Hawthorn Mayor, William Henry Pettett, who, coincidentally has a stained glass window erected to his memory in Holy Trinity Church at Stawell which depicts St Peter & St Paul and it too was made by Ferguson & Urie circa 1871. In 1883 he travelled to England via the USA where he selected twenty seven ewes and twenty three American Merino sheep for breeding on his property in Victoria. Shortly before his intended return to Australia in late January 1885 he fell ill died of inflammation of the lungs at Carlisle House, Central Hill, Norwood on the 3rd February 1885. Dhurringile remained within ownership of the family for many years. In 1890 Mr. M. Minter was the manager of the Dhurringile estate. His two sons drowned on the property in 1895. The property was eventually sold at auction in March 1902 to J. J. Falconer of the Australian Mortgage, Land, and Finance Company Ltd for £173,527. The property remained vacant for a number of years and was eventually sold to Vincent Hart in 1925, but it still remained unoccupied during his ownership. In 1939 Hart rented the property to the Government for use as an internment camp for German and Italian alien civilians and by 1941 it was being used by the army as a prisoner of war camp for Germans. In 1947 Dhurringile was purchased by the Presbyterian Church who refurbished the dilapidated property and after a public appeal in 1949 the church raised £15,000 to assist with the repairs. The property eventually opened in late 1950 as the “Dhurringile Presbyterian Rural Training Farm”, which was intended for accommodating and training immigrant boys from the UK whose fathers had died during the war. The first twenty nine boys from England and Scotland arrived aboard the ‘Cheshire’ in late December 1950. 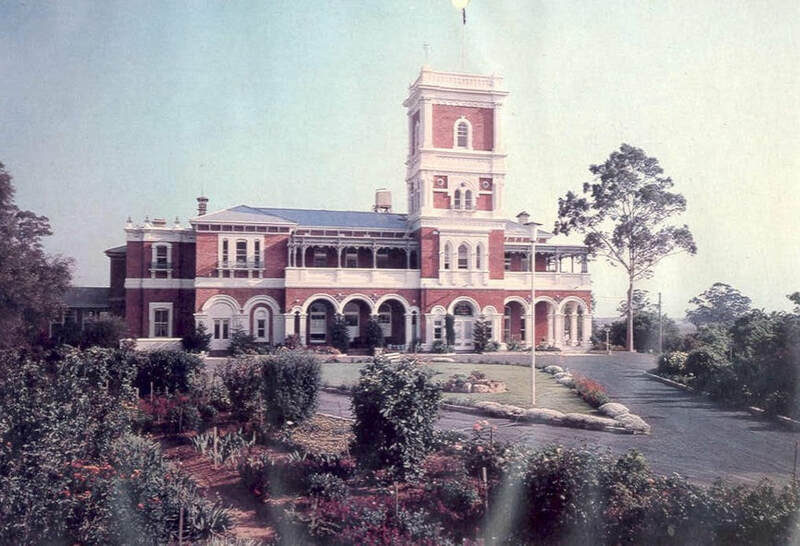 In 1965 the property was purchased by the Victorian Government for use in the rehabilitation of alcoholic prisoners. The property is still used as a minimum security prison to this day but the mansion itself is only used for administration and as a training centre. The extant Ferguson & Urie stained glass windows in the mansion, depict the Kangaroo and the Emu, the deities “Flora & Pomona,” a gothic decorated fanlight window and an arched window depicting the seasons which is very similar to the seasons window at Mandeville Hall in Toorak which also has Flora and Pomona windows.